Here's a smattering of the trailers that came out this week that we felt were worth mentioning. Some are on here because they legitimately look good and the other one is Show Dog. 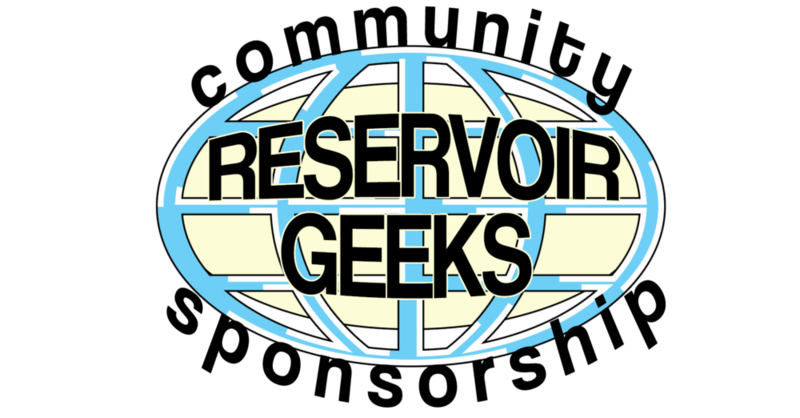 I think I speak for all of us here at Reservoir Geeks HQ when I say we are excited about this one. Netflix's movie staring the lads and a few others from the Comedy Central Show Workaholics in a Die Hard-esque action-comedy? Yes, please! What would be better than watching tennis star an notorious fight against assimilation upon the Starship Enterprise? Watching the real life drama behind the scenes of the match between McEnroe and Björn Borg. Listen, I'm a tennis fan and I always loved John McEnroe, if only for his temper, with which I identify. Interestingly, Shea LeBeouf stars as McEnroe and from the looks of the trailer, this may be a come back role for him. Let's hope. Though I grew up a fan of the Christmas classic and Jim Carrey, I was underwhelmed by the movie that came out in 2000. The folks at Illumination Studios seems to have done something special here with an over arching story that spans beyond just Christmas. It's hard to be 100% sure but it's better than showing a town full of people pick on a hariy green deformed child for one third of a movie. There isn't a whole lot provided, as this is just a teaser but it looks like Hook with a touch of Ted. A combination that seems okay on the outset but we'll see. Who am I kidding, it's Disney. And now this pile of garbage. I can't fathom how Hollywood has a blacklist of scripts when movies like this get greenlit all the time. The most upsetting part about the trailer is that Stanley Tucci is involved. Not much of a surprise though considering Kevin Spacey was in Nine Lives. You know before the whole, rhymes with "schm-edophilia" thing. Well there you have it. What movie(s) are you looking forward to seeing? Would you take your kid to see Show Dog or just hit them with a shovel? Let us know! Posted on March 9, 2018 by Andy Carl Valentin and filed under Trailer Park and tagged trailer movies.